Joe Sardo is an accomplished blues guitarist / singer with full awesome sounding pro backing tracks that really bring a huge band right into your party, club, church, or event of any kind. 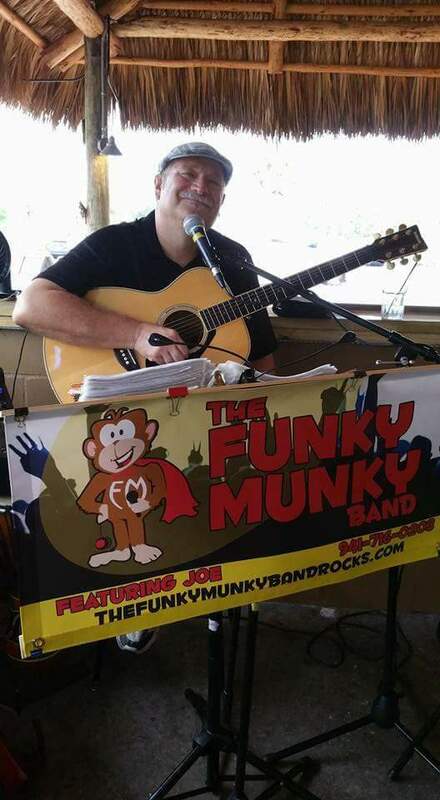 The Funky Munky Band plays a wide variety of music for every occasion (Motown, Soul, Tropical, Fingerpicking, Country, Blues, Oldies, Rock and Originals) with an emphasis on a dance party atmosphere with a minimum footprint and total controllable volume! Check out our song list. Our set up is the “Funky Munky Band in a box” with guitar and vocals by one of the areas renowned professional musicians. Add in lights, a pro attitude mixed with a light-hearted presentation and you’ve got a killer entertainment package adding up to a memorable and well talked about event you can be proud of time and time again.